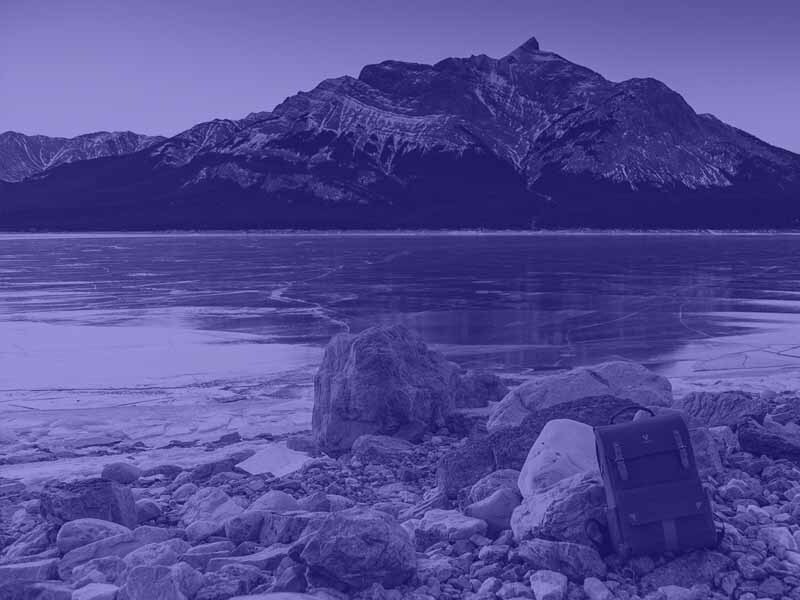 Do you work on a site with marketing objectives requiring the use a branded phone number, thereby making it difficult to implement dynamic phone number call-tracking for PPC campaigns? If so, you’ll be all too familiar with the challenges of making campaign management decisions without information about keyword effectiveness and have probably asked yourself: what’s the best way to optimise this account? Should you be faced with this situation, here are some ideas that we hope you find useful. Exactly what you choose to measure will be largely based on your answer to the question: what does an engaged visitor to this site act like? Do they visit more than four pages or spend more than two minutes browsing the ‘About us’ or ‘Company awards’ content? This behaviour can be very revealing, especially over an extended period of time. 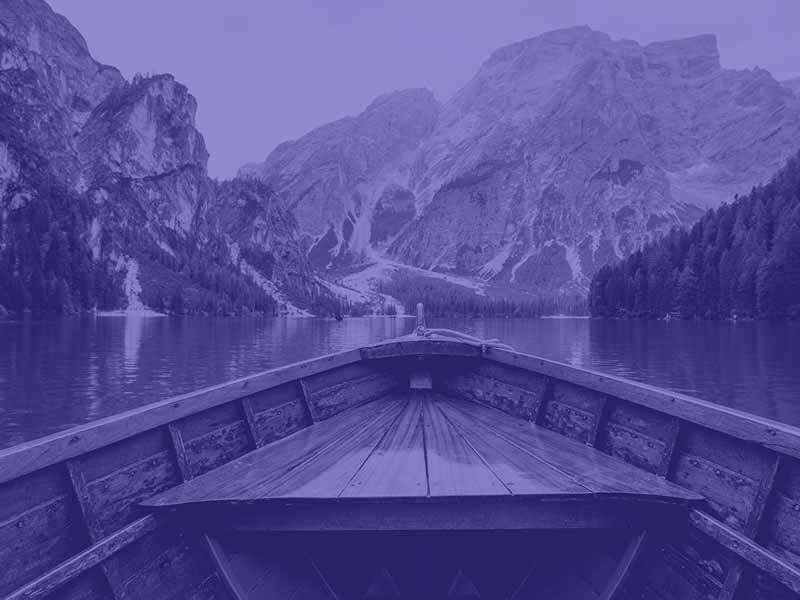 You may also consider a quick look at usage metrics for branded keywords as these visitors are likely to be highly engaged, as well as organic and (some) referral traffic sources too. Click “Save Changes” to finish. 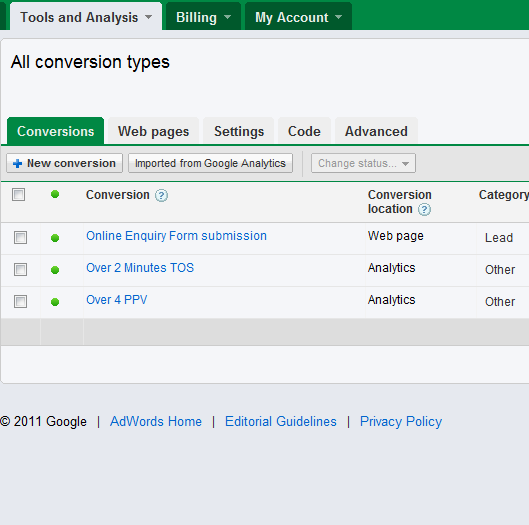 Navigate to the Conversion Tracking page from within your AdWords account. The Conversion Tracking page will show a message alerting you that your goals and transactions are ready to be linked. Please note that it may take up to two weeks for your Analytics data to be imported into AdWords. Click “Import from Google Analytics” from the Conversion Tracking table. Select the goals or transactions you want from the list. Each listed item will have an editable field for the action name, a clickable menu that allows you to choose the tracking purpose, the Analytics profile name, the type of action (goal or transaction), and the name of the action as it appears in Google Analytics. Edit the action name and tracking purpose here so that you can identify the goals once they show up in your AdWords conversion reports. Select “Import” from the bottom of the table to finish. Source and more info. 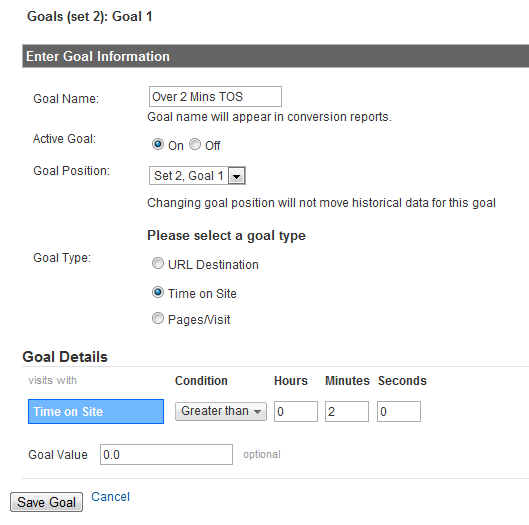 AdWords will now import goal conversion data directly from your Google Analytics account. Presto! If changing the main business phone number on PPC landing pages is not negotiable, how about adding a second phone number labelled ‘Direct line to…’, placed next to the branded number and throughout page copy? This way, your client will obtain the benefit of a branded phone number with some of the tracking benefits of a dynamic number too. It’s not 100% perfect – that’s for sure – but it’s a step in the right direction. Credit to Avinash Kaushik (and his amazing book Web Analytics 2.0), simple and elegant site page level satisfaction surveys can be wonderful tools for compiling information from your most (and least) satisfied visitors. Free services include Uservoice and Kampyle.